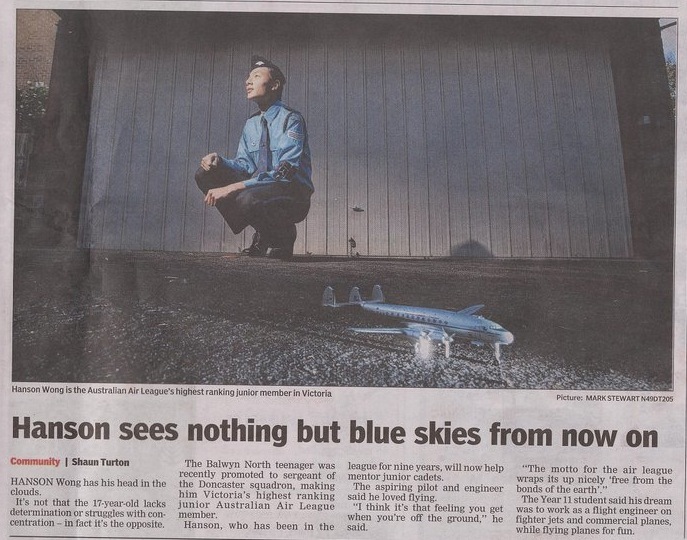 Hanson Wong has his head in the clouds. It’s not that the 17 year old lacks determination or struggles with concentration – in fact its the opposite. The Balwyn North teenager was recently promoted to sergeant at the Doncaster Squadron.